A group of amazing young musicians will perform with Sir Bryn Terfel at his first performance in the Theatr Bryn Terfel, Pontio including trumpeter Gwyn Owen. Originally from Bangor, Gwyn graduated from the Royal Academy of Music last year with a Masters degree, after studying there for five years. In addition to working free-lance as Principal Trumpet with the Scottish Opera Orchestra, he has appeared with a number of major orchestras – BBC National Orchestra of Wales, Royal Liverpool Philharmonic Orchestra, the Royal Scottish National Orchestra, City of Birmingham Symphony Orchestra, London Philharmonic Orchestra and the international Gustav Mahler Youth Orchestra. 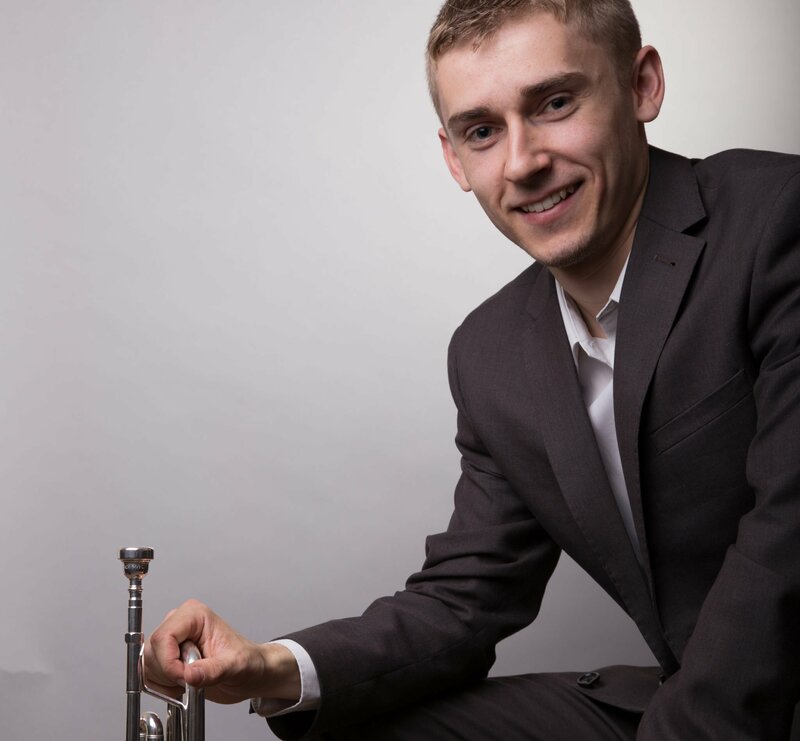 This year, he was principal trumpet with the Southbank Sinfonia in London as part of a ten-month orchestral course. Before studying in London, Gwyn was a member of the National Youth Orchestra and National Brass Band of Wales for seven years. He took part in a number of the Gwasanaeth Ysgolion William Mathias (Schools Service) ensembles, and Menai Bridge Brass Bands and Beaumaris Bands. As soloist, he regularly competed in Eisteddfodau, and in 2016 he won the Blue Riband award at the Eisteddfod in Abergafenni. As well as being busy as soloist and free-lance orchestral player, Gwyn is part of the Llarregub Brass Band, and ‘A5’ brass quintet formed by friends from North Wales who now live or study in London – they won the open instrumental group competition this year at the Eisteddfod. Gwyn received piano tuition with Teleri-Siân and Music Theory with Sioned Webb at Canolfan Gerdd William Mathias, in addition to having many opportunities to perform.